Whether you’re just beginning to peruse the market or you’ve recently found your dream home, there’s a chance you’re already considering the lenders and loan terms that will work best for you. Amortization may be a less-familiar term when it comes to the layman’s knowledge of buying a home, but knowing more about exactly what it means can go a long way towards a more secure financial future. 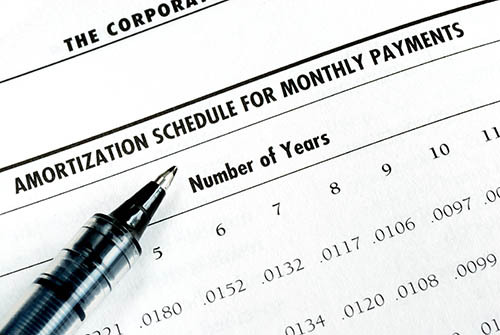 Amortization is the process of paying off your mortgage loan through regular monthly payments. While a portion of each monthly payment will go towards the price of the home and a portion will go towards interest, having a higher monthly payment can mean you pay less interest on the home’s balance overall. This means that, with a shorter amortization period, you can actually end up paying a lot less for your home. It’s easy to believe that paying your monthly mortgage amount is enough, and this can certainly suffice, but putting down more than this can actually improve your financial situation in the long run. Because the early years of paying off your mortgage will involve paying interest on a larger home balance, it can take a while to even break even and begin to see a lowered interest payment and principal. By making lump sum payments or pre-payments, you may significantly lower your amount owing and pay off your home much sooner. 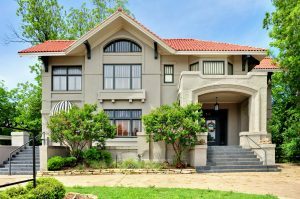 Certainly, higher monthly payments or lump sums can minimize the amount you owe, but depending on the house you choose, a higher monthly payment can be a tight squeeze. This can also adversely affect the quality of your life if you’re working too much to make ends meet or budgeting so much you can’t enjoy your life. While a shorter loan period is great if you can swing it, if it will negatively impact your life and the financial benefit is not worth it, you may want to take a little longer to pay down. There are a lot of terms and phrases involved in the mortgage process that can be confusing for the new homeowner, but deciding on the length of your amortization can have a significant impact on your future finances. If you’re currently considering the amount of house you can purchase with your monthly payment, contact your trusted mortgage professional for more information.